This is our gift to our beautiful and busy Healthgist gals, who like us… haven’t even started Christmas (or Hanukkah) shopping yet. A tried and true list of 7 great products & services that show you have your loved one’s health in mind as you bestow them with a thoughtful gift! Some of these cool gifts can actually SAVE LIVES! We took the stress and time out of the driving, looking for parking, fighting the crowds, and long lines that’s usually involved during the holidays- get one for yourself, too! -an efficient grocery and meal planner in one box right to your door! -delicious (and the best part) the question of “what to make for dinner?” ANSWERED. YES! -have a traveller to buy for? Why not try a comfy pair of compression stocking which could actually save their lives by preventing a blood clot while on long trips in cars, trains, and planes! -gift your loved one with a membership to the on-line health information resource that can help improve her health and life. Dear Dr. Bola, I wanted to wish you and your family a very Happy Holiday season. I hope you are now settled into your desert home. I have a question about the Move More Challenge. Is this the same program as last year? I have faithfully followed the tips you gave then, and this sounds like the same or similar program. Please keep up the good work, as I certainly enjoy the articles that you and Dr. Carol write. 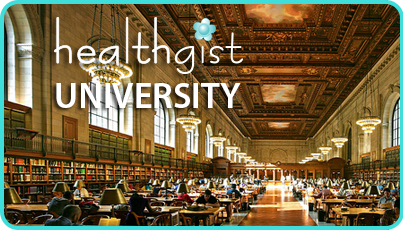 I have done my best to share with others about Healthgist and encourage them to join as well. Thanks for the well wishes. We are doing our best to settle in here in the desert. Still working through some boxes and putting things where they belong. Yes it’s the same Move More Challenge which you already have “lifetime” access to so you are set.